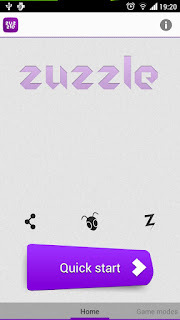 Zuzzle is a brand new logic game for Android from the highly regarded Tundem Media Group. 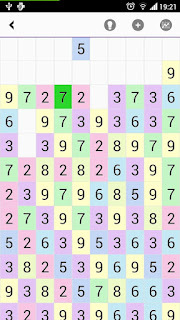 The goal of this puzzle craze is to clear out all of the numbered tiles from the game board. Sounds simple enough, right? Well, it is, at first anyway. How a player may clear out numbered tiles depends on the game mode: classic or mega, and the flavor of the game mode: normal, add any, same, or same mix. 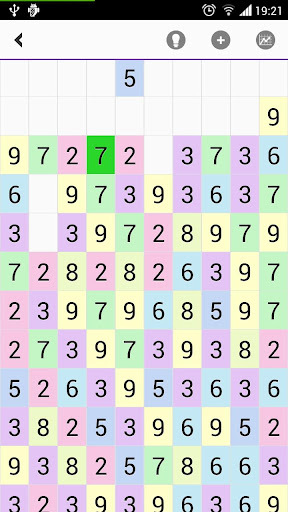 In general though, players can clear tiles by selecting 2 tiles of the same number or 2 tiles that sum to 10. You'll have to check out the game for yourself to see some of the finer details. Players are rewarded with higher scores based on speed, number of taps, and hints. Completing a level at higher speeds, with fewer taps, and fewer hints results in a better score. Zuzzle cleverly combines entertaining elements of various games from sudoku to classic number hunts. The game also contains global, Swarm-powered leaderboards which means that players can compete with anyone, anytime, anywhere on the planet. Nice! Tundem did a nice job making sure that Zuzzle auto-saves the game state so that you can pick up and put down the game whenever you have a spare minute. What are you waiting for? Check out Zuzzle today and get your number on! AL Bubble Shooter Android Game Pop's Up! Hey Geography Buffs, Show Off Your Skills Here! Got Movies? Android's FrameFilm Does! Want to be a Millionaire? Know Flags? Get This!